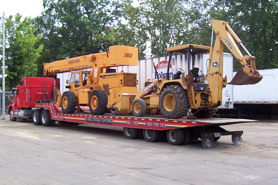 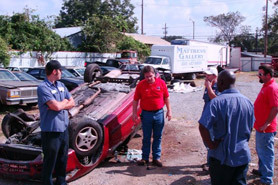 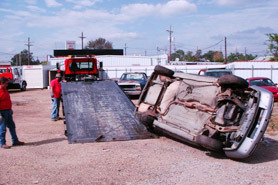 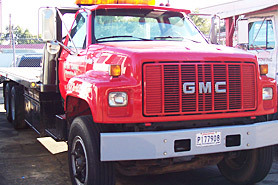 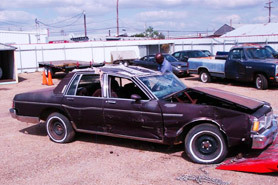 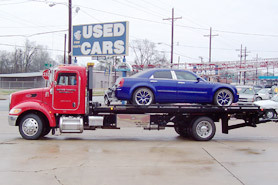 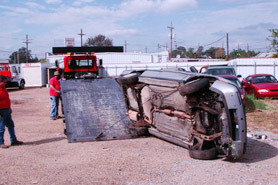 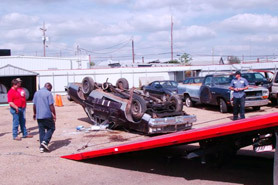 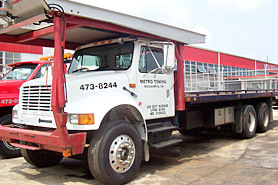 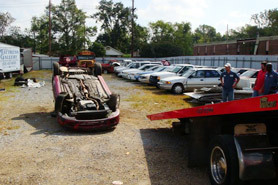 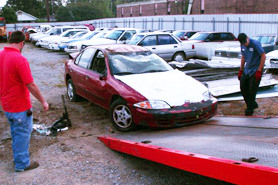 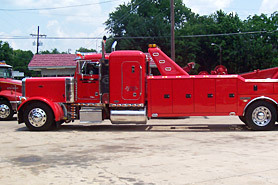 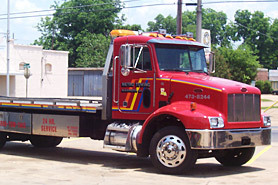 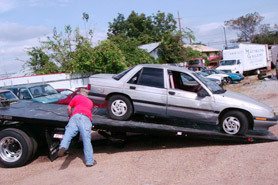 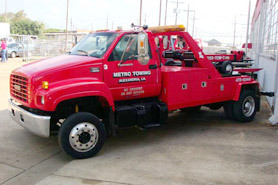 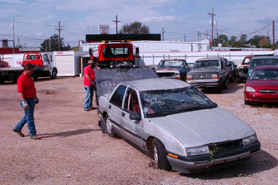 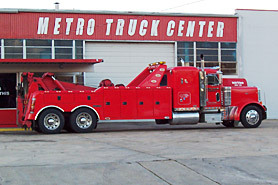 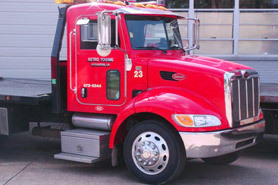 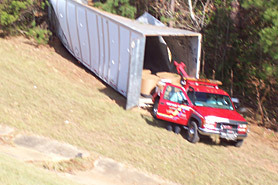 At Metro Towing we are proud to be able to serve all towing needs, from small passenger vehicles to 18-wheelers. 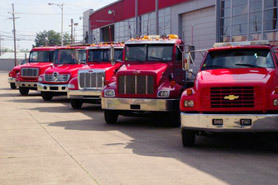 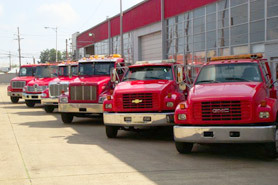 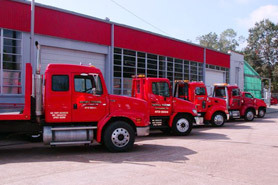 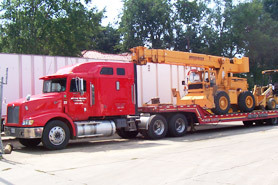 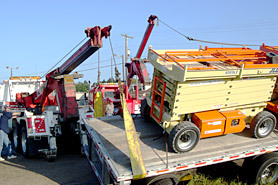 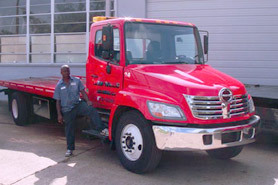 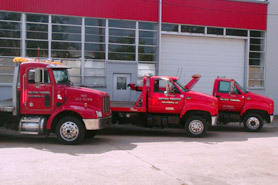 Let us introduce you to our fleet of specialty towing vehicles, each uniquely designed to handle the job right. 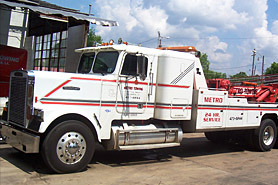 Carries compressor, air bags, HazMat gear, auxiliary lighting for night recovery, tow power generator, acetylene torch, wire feed welder and a variety of miscellaneous tools. 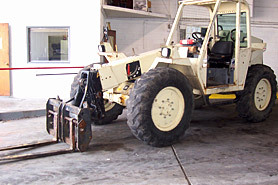 Wheel lift holds tires 19.5" to 24.5"
10 wheel drive to "go where others can't"